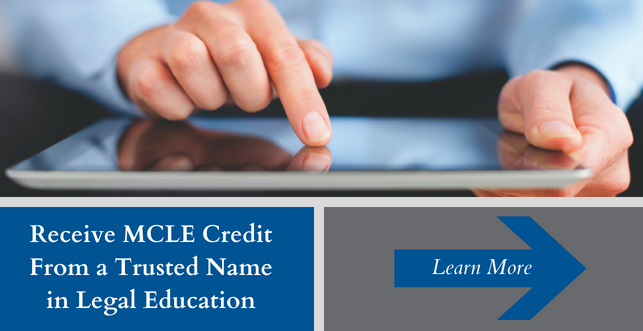 Online courses are a convenient tool to stay current in your practice areas, and at Georgetown Law CLE, we have carefully selected courses that will provide you with great educational value. You will benefit by learning from the country’s leading government officials, judges, and practitioners in the comfort of your own office in a format that is conducive to your own learning style. Courses cover a wide variety of subjects and include live webcasts, scheduled video replays, and on-demand video and audio programs. Please visit our portal for more information and a full list of online programs. 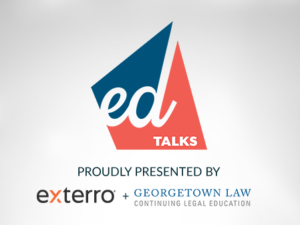 Georgetown Law CLE and Exterro are proud to bring you edTalks, a series of short presentations by legal & IT thought leaders on cutting edge e-discovery ideas, concepts, and best practices.